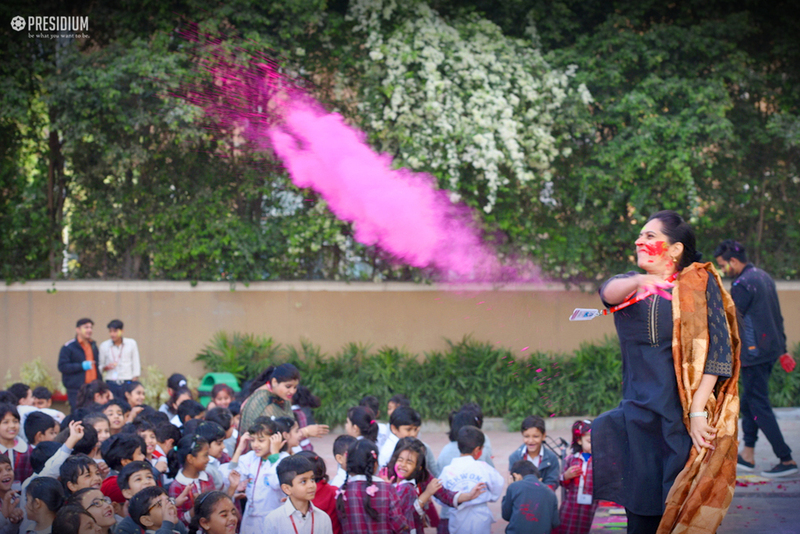 Holi is a festival of colours, which is welcomed by everyone in great spirits with a lot of singing and dancing involved! 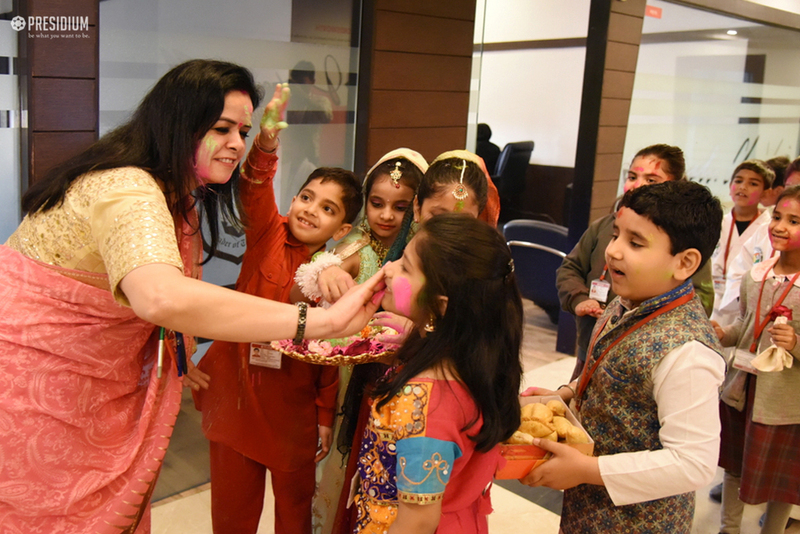 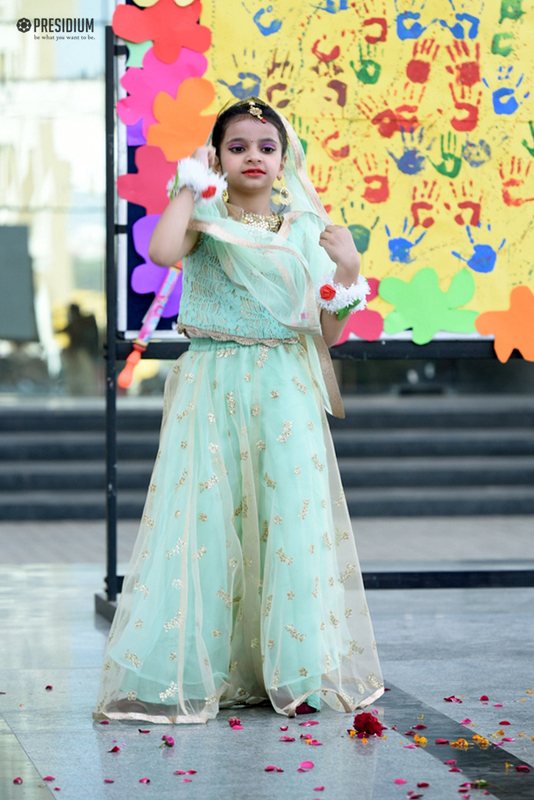 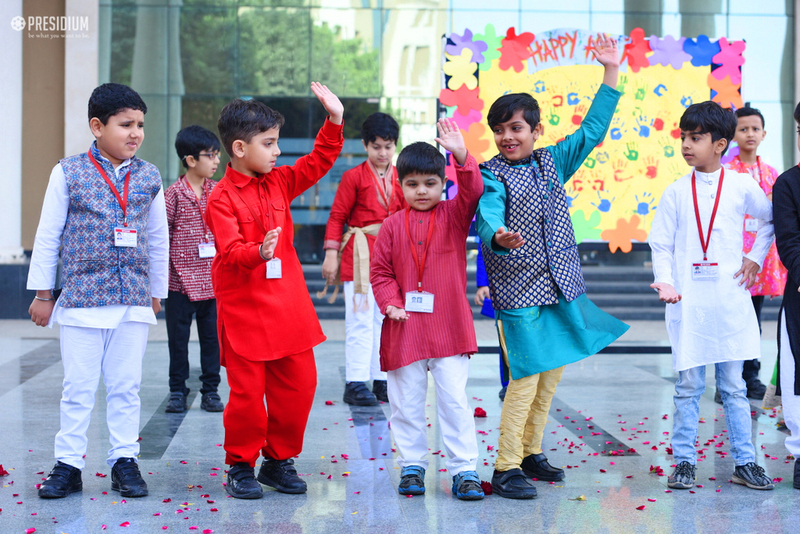 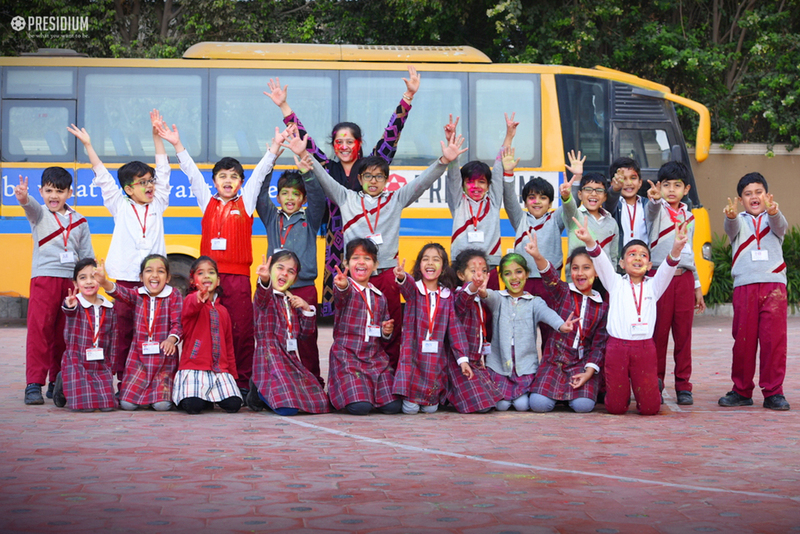 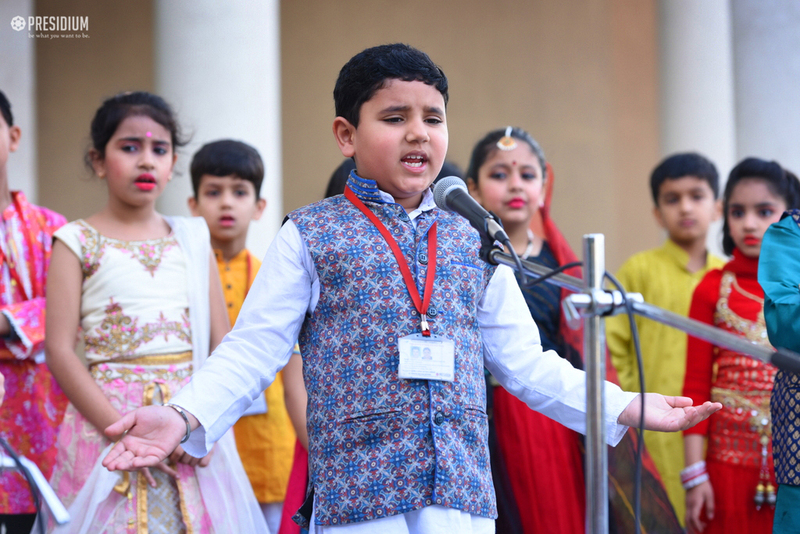 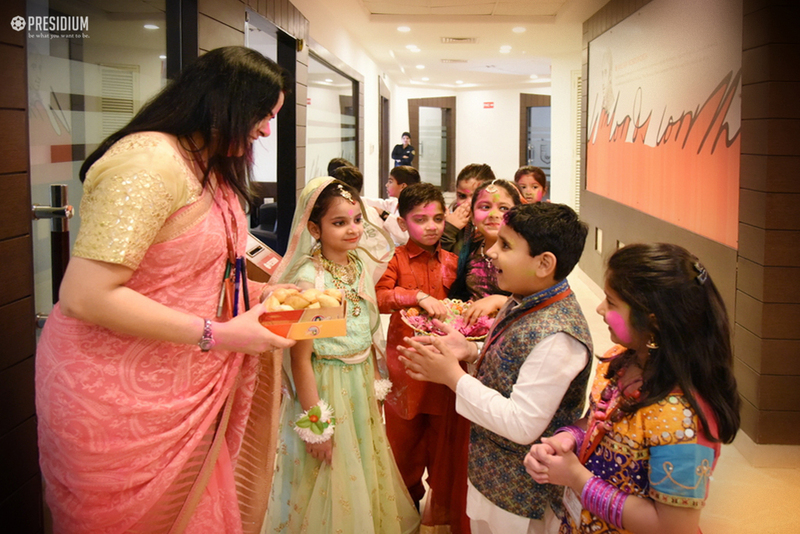 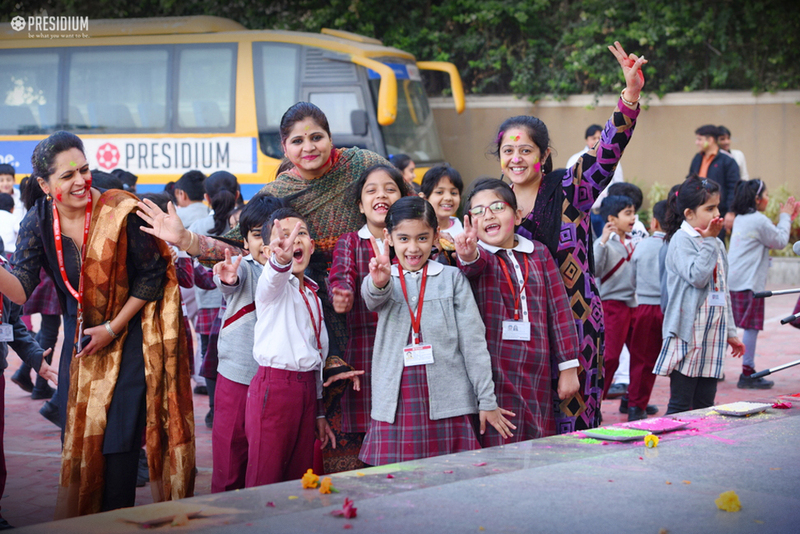 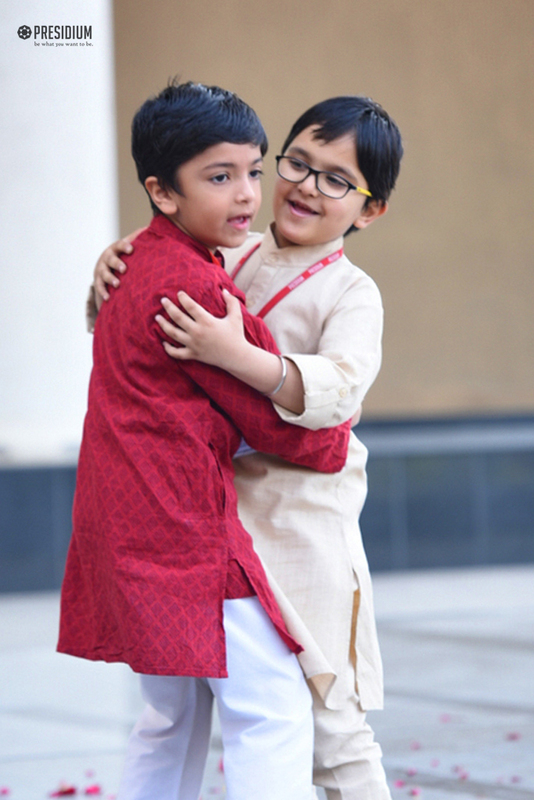 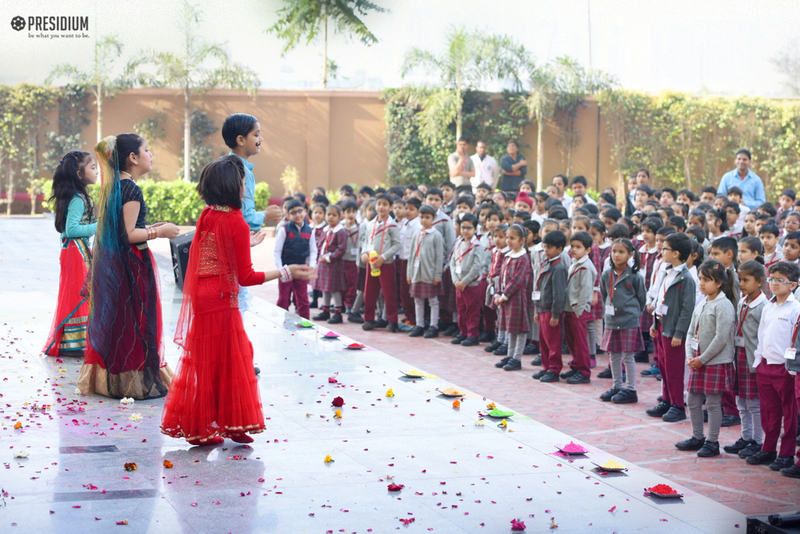 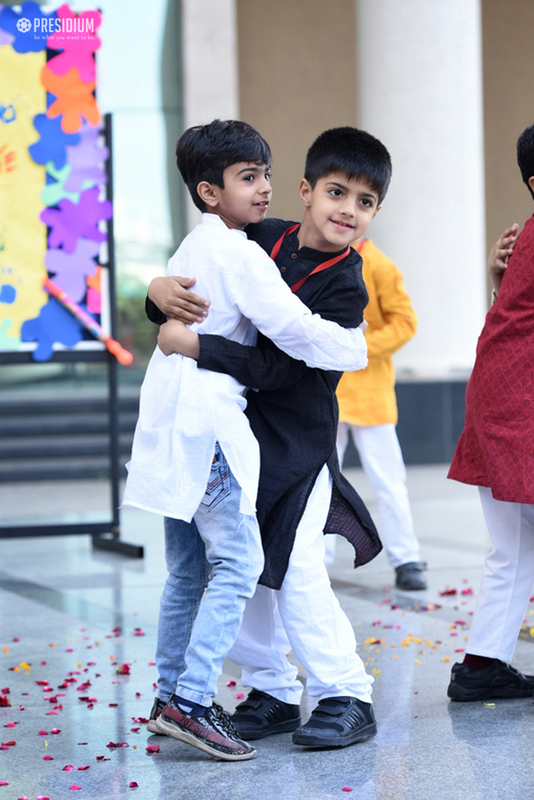 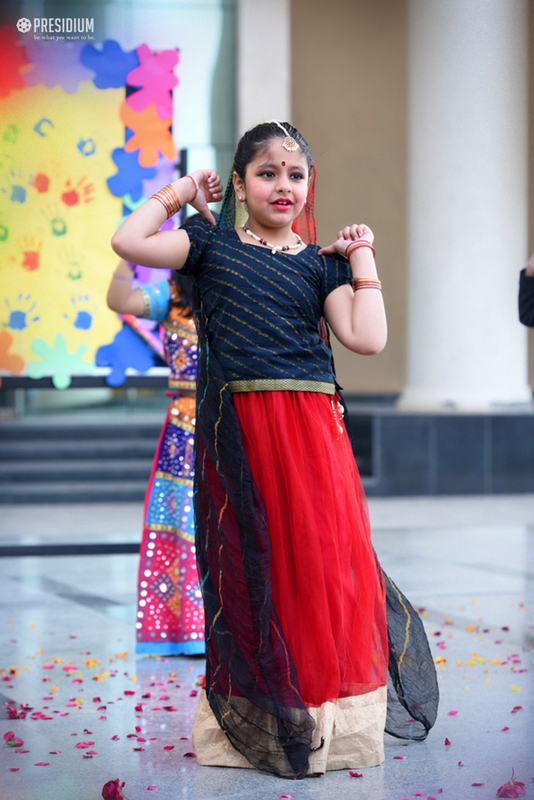 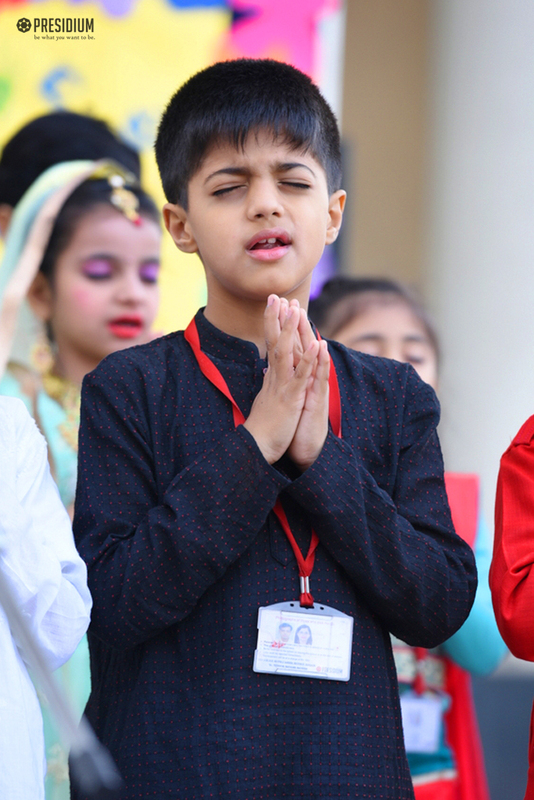 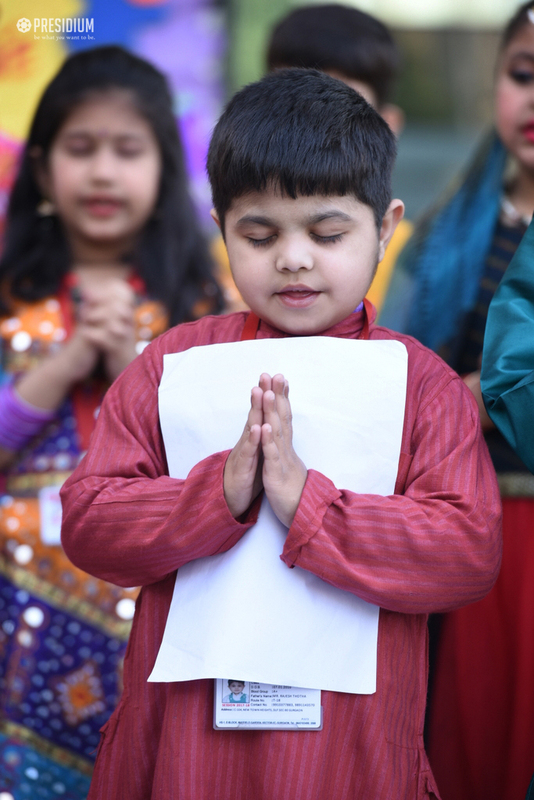 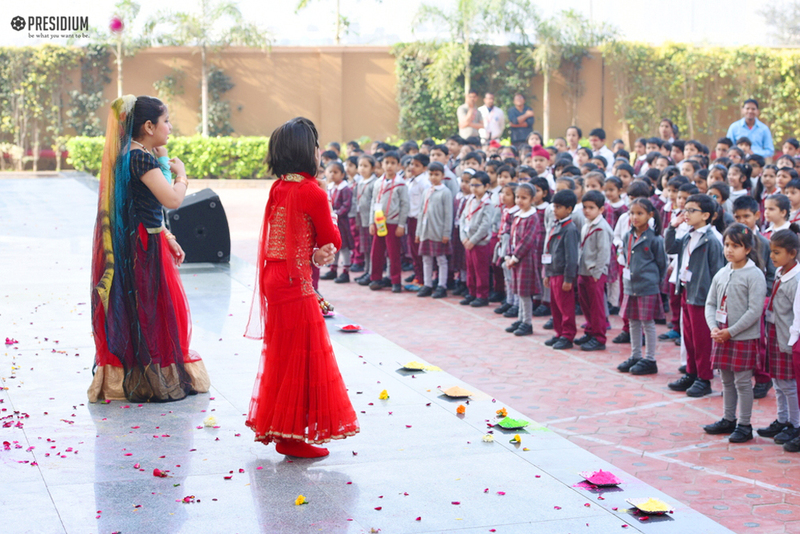 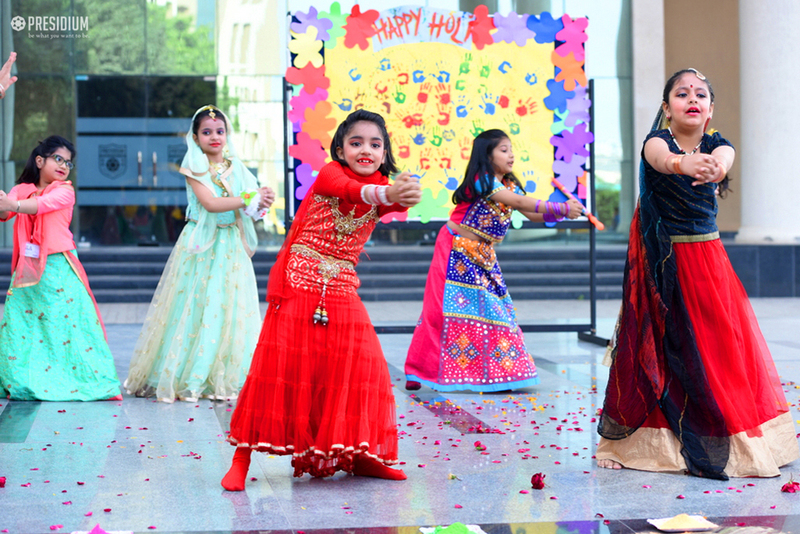 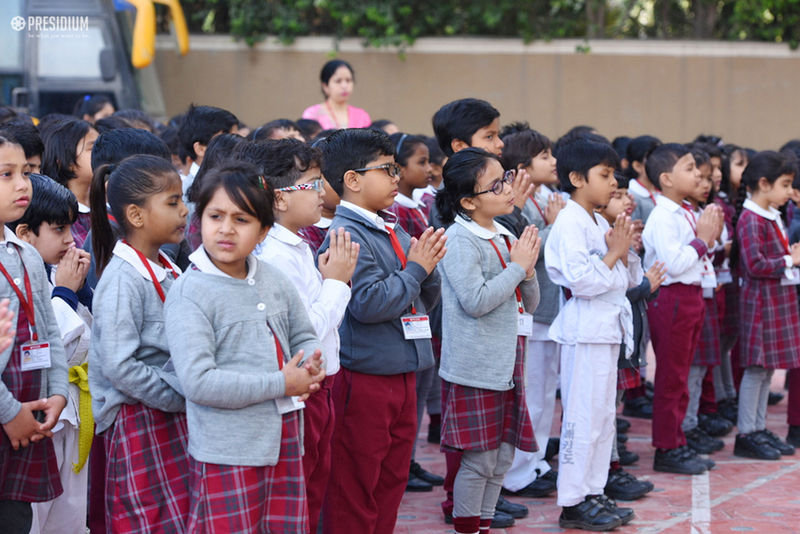 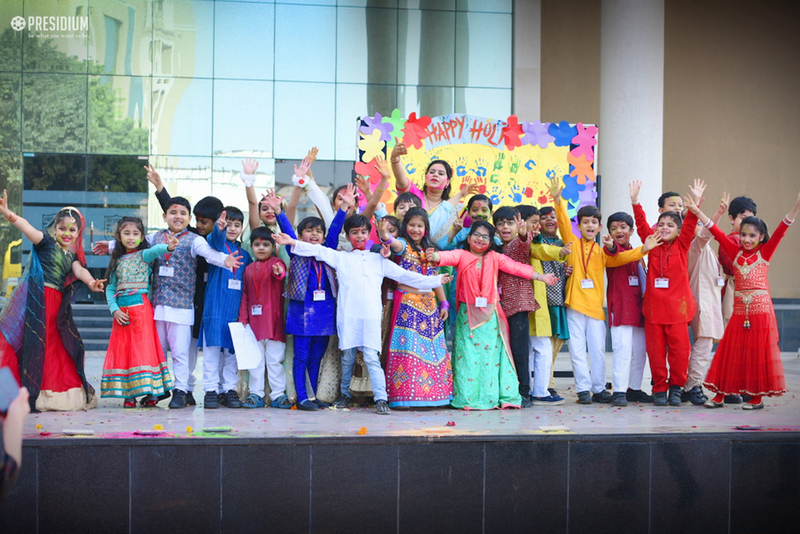 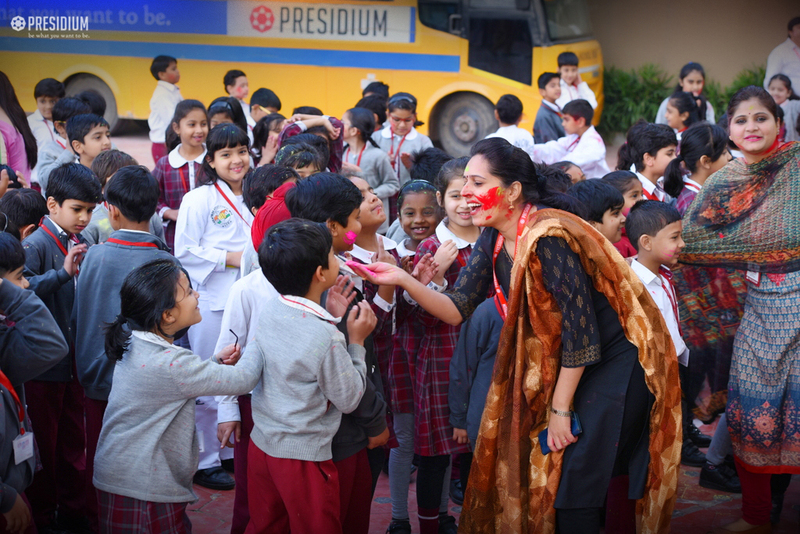 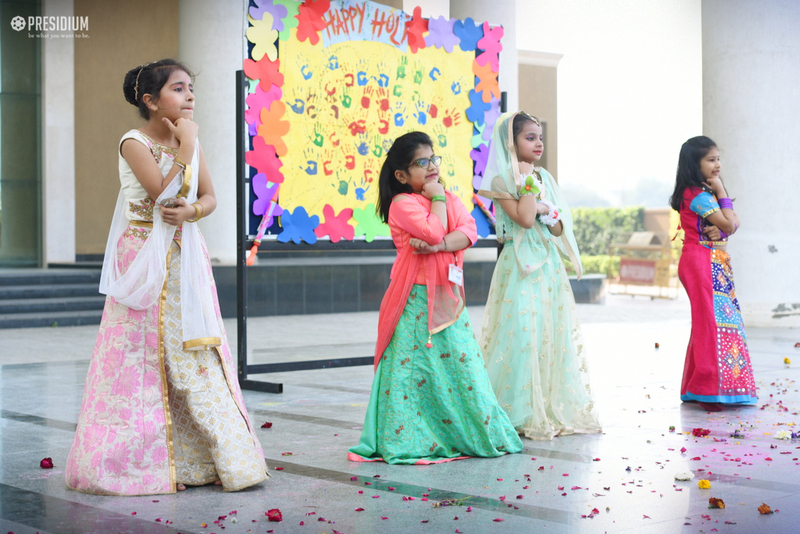 To rejoice the festival of colours with immense joy and enthusiasm, our grade 2 students recently conducted a special assembly at Presidium, Gurugram. 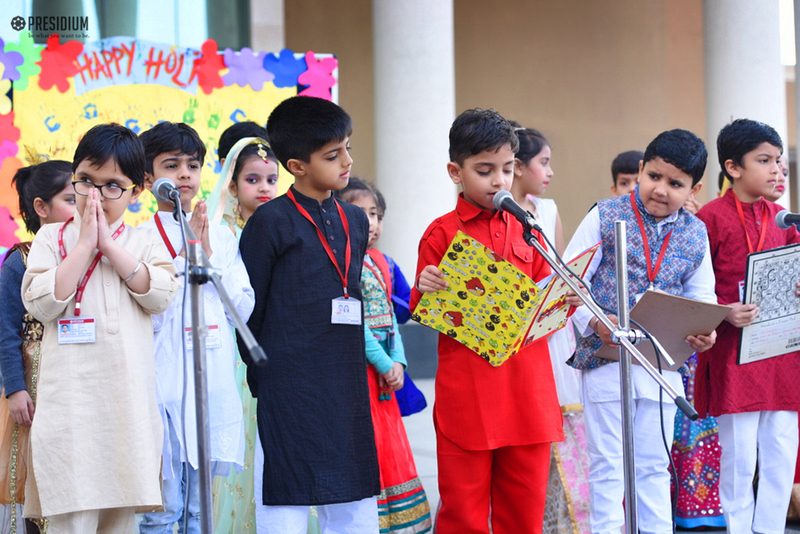 They shared about the importance of this festival, post which, some beautiful poems on Holi were presented. 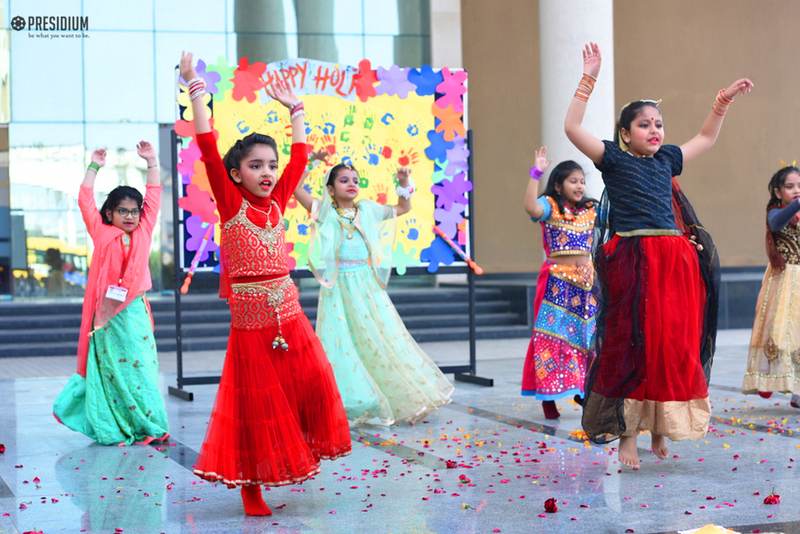 Spreading vivid colours of their dance on the spectators, the leaders of tomorrow drenched them in the joy of this festival. 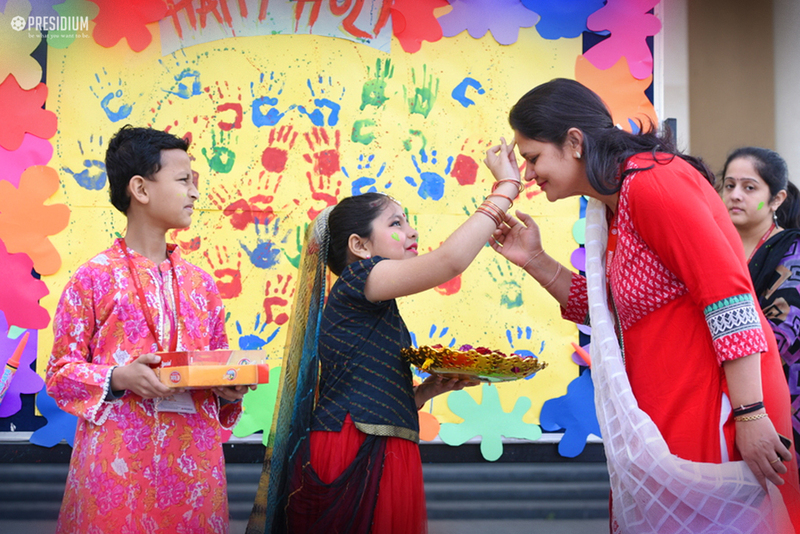 The assembly perfectly connected the festival with a beautiful and colourful aura, which makes us forget about our worries and brings a smile on our faces.